are the olhausen pocket angles/openings less generous than other tables? 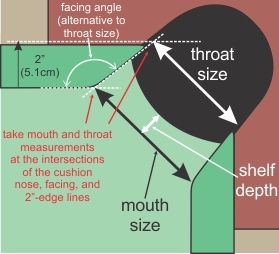 It depends on Table Difficulty Factor (TDF) which is calculated based on pool table size and mouth size to throat size ration if TDF=1 then table is average, if its greater then “1” then its said table is tough and less then “1” means easier then average. Most olhausen pool tables comes in the range of “0.80-0.95” so its easier then average.